CCA South Carolina | First 2018 STAR tagged redfish caught in Murrells Inlet! First 2018 STAR tagged redfish caught in Murrells Inlet! Columbia, SC – While enjoying the Palmetto State coast on vacation, an angler from Ohio was fishing with Capt Jay Baisch of Fishful Thinking Guide Service in Murrells Inlet, SC. The crew was having a good day of fun and fishing when a 20 inch redfish was brought to the boat. The fish was sporting tag #14 of the 2018 CCA South Carolina STAR tournament; a fish potentially worth a brand new Sea Hunt 22BX bay boat, Yamaha motor, and Wesco trailer valued at over $43,000. Unfortunately, the angler was not registered for the tournament and thereby missed out on the prize winning fish! “We noticed immediately that the fish had a tag but simply mistook it for a SCDNR tag at the time” said Capt Jay. “It wasn’t until later that we noticed it was a STAR tag and immediately called the STAR number to report the catch”. Now in its second year, the CCA South Carolina STAR Tournament presented by Sea Hunt Boat Company, is a nonprofit saltwater fishing tournament focused on attracting people to the Palmetto State’s outstanding coast and the important work of conservation, protection, and stewardship of our coastal resources – all of which are cornerstones of CCA South Carolina’s mission. The tournament gets families on the water and helps educate both angler and non-angler alike on the role we all play in those significant efforts. The tournament is takes place from Memorial Day to Labor Day each year. 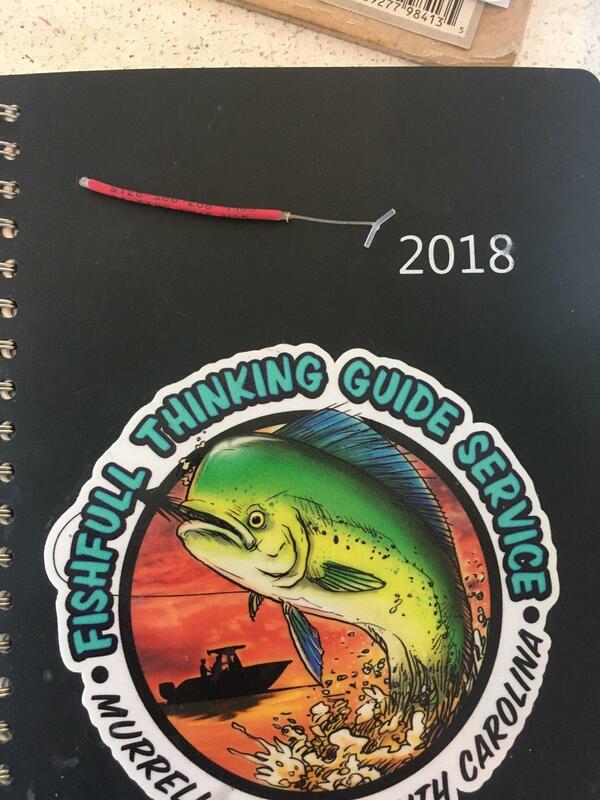 The tournament has released 60 specially tagged redfish along the coast of South Carolina and the first two CCA members registered for the tournament to catch a STAR- tagged redfish could win a new 2018 Sea Hunt Boat Company BX 22 BR bay boat, Yamaha 150 motor, and a Wesco aluminium trailer valued at over $43,000! “The fish are tagged and out there” said Scott Whitaker, CCA SC executive director and STAR tournament director. “We have had four fish from last year’s inaugural year recaptured but this marks the first fish caught in the current tournament year. We are all pulling for someone to catch one of the remaining 59 fish as we really want to give away both of the prize boats this year. Anglers have until Labor Day weekend to make it happen”. Don’t let this happen to you or your friends! Get registered NOW at www.joincca.org today and be ready when your opportunity strikes! Friends don’t let friends fish without being registered for STAR!